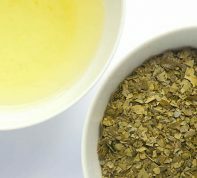 Habit plays a critical role in tea drinking and health. Often an action is carried out because the situation makes it the least resistant path. Like muscle strength, will power is a limited and exhaustible resource. You can plow your way through, but will eventually get tired. So be smart and focus on creating an environment conducive to a healthy tea drinking habit. When do you feel most resistant to drinking tea? For example, when you’d like to brew a cup of tea in the morning, what gets in the way of actually doing it? Removing the hurdles on your road will make tea making more automatic, eventually creating a healthy habit. Why is it so hard to start doing something new? This is beautifully described in Chip Heath and Dan Heath’s book “Switch”. Here they describe that the reason you cannot change your habit is not a problem with you, but a problem with your situation. If you create a situation that eliminates resistance to implementing your desired actions, your body automatically follows. You are controlled by 2 entities: Elephant, or the emotional being and Elephant rider, the rational mind. The elephant rider is always telling your elephant to drink tea because it’s healthy for you, but your elephant sees snacks and a comfy couch, and makes his decisions from there. If making tea is easy for your elephant and the snacks are hard to reach or out of sight, tea making becomes less difficult and more automatic. Whether you want to start, or improve your daily tea habit, here I share a few of my tricks to make tea drinking easier, and hopefully get your healthy habit to stick. Boiling water – On normal days I tend to be very impatient in boiling water. I got an electric Zojirushi water boiler and dispenser for my home and office. This keeps water hot all the time and instantly available at the right temperature (194F). This virtually eliminated my resistance to making tea. Set up a dedicated space – Setting up a dedicated space can make or break a tea drinking habit. Imagine you have to put away your current project, clean up a counter space, pull out a tea pot, tea cups and tea. By now you’ve exhausted most of your will power just by thinking about getting to the point of making tea. 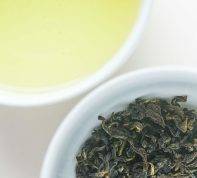 Streamline your process – Whether you are steeping loose leaf tea in a traditional gongfu style or a teabag in a mug, making the process smooth will make your tea drinking habit more likely. Priority – I have the luxury of a dedicated tea cabinet in my house. In fact, I have 3 cabinets. This makes drinking tea to be priority over other types of instant drinks. Just as I make exercise a priority over sitting on the couch and watching TV, we made our living room a wide open space with a large rug for stretching, yoga and exercise. The TV is still there, but we barely use it. Make sure you enjoy your tea – Many people thinking tea is tea, and get the cheapest low quality tea. If you want to establish a habit of drinking tea, make sure you get tea that you enjoy. Also, spend some time learning how to prepare each type of tea that you enjoy to make it taste great. There is a whole world of tea out there and if you say you don’t enjoy tea, you haven’t looked far enough. 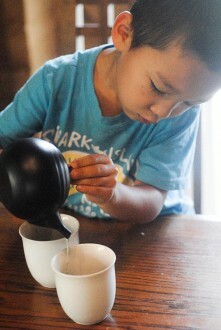 Get kids involved – We have successfully involved our kids in brewing tea. In fact, they prepare tea for us. How? Tea time is snack time in their minds. We have a little bit of snack with tea and the kids are very very helpful when it comes to sweets. You can also choose the healthier option of dried fruits and nuts. Make sure your kids are excited about them. Schedule your tea break – You can unapologetically schedule your daily tea break to give yourself and others moments of uninterrupted rest and the ability to change gears, which will increase your productivity and mental health. In “The now habit” Neil Fiore talks about giving yourself guilt-free play time to overcome procrastination and be more productive. Tea time can symbolize guilt-free play, or uninterrupted rest in your organization or household and others can participate. Once you and people around you become accustomed to tea breaks, your sense of mental health will change and many people will greatly appreciate your artful presentation. Use gongfu style or simplified Japanese matcha tea ceremony for greater impact. Is it washing dishes? If dish washing is the biggest challenge for you, and yes I know tea ceremony dirties lots of dishes, there are some ways to make it easier or think about dishwashing completely in a different way. Simplify your setup – A cup and a strainer. When you are done with tea, just wash your cup and rinse your strainer. Simplify your cleaning process – The tea pot, cooling pot, and kettle don’t need through washing with soap. If you use a clay tea pot, it actually benefits from the oil found in tea. The only thing you need wash thoroughly are the cups. Boil extra water – Hot water can clean and sanitize effectively without physical washing. It allows you to make washing or pre-washing the dishes. If you use a tea pot with a built-in strainer, soaking in hot water can dislodge most of tea leaves stuck in the strainer. Include cleaning into your tea ritual – you can include hot water rinsing of your tea pot, cooler and vessels into part of your tea ritual. Japanese tea ceremony includes washing and cleaning of tea bowls and utensils in an artful form in front of guests. Zen teaching may say, “when you wash dishes, just wash dishes” and and perfecting your dishwashing ritual. Then, people around you can realize your zen approach to washing dishes. 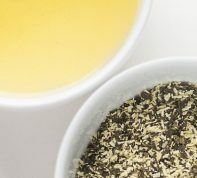 Have options – Some days I prefer using simple cup & strainer approach and brew 1 cup of tea. Other times I like to sit with other people and brew in a clay pot. Yet, other times I like to have a tea mug to accompany me on a trip. Just as you may feel slow and relaxed one day for making tea in tea pot while other time you may be on the go and like to have a tea mug to calm you down. Have several options available for optimal tea experience. Pay attention to how you feel – Pay close attention to how you feel, whether certain styles of tea making elevates you or create resistance. It’s not how long you have been drinking tea that matters. Take it a day at a time, or even one steeping at a time to establish and nurture your new tea habit. After several decades of making tea drinking easier, I can understand my elephant a little better though still learning, I can safely say that I have a tea drinking habit. After meal tea is pretty automatic. My body feels like something is missing without tea after each meal. I also like welcome guests with tea outside, but my outdoor tea brewing environment still needs work. If this sounds like too much for your initial investment of time, money, and mental energy, start small and simple. You can start with a cup and strainer. Just make sure that whatever you use, you like using. Some people agonize over spending an extra $5 on a perforated stainless strainer over the cheap metal screen type. I personally try to avoid mesh strainers all together because I don’t enjoy trying to clean out the things get stuck in it. Plus, a perforated strainer is more durable and will last longer. Make your habit stick by creating the right environment for ease of your use.